The open call for the “Enter the…” anthology series is now CLOSED. All further submissions will be deleted. We will only accept those stories emailed as text in the email OR .txt, .doc, .docx formats. All attachments will be destroyed if not accepted. We will not accept stories by mail or post. If we receive these they will be destroyed at once. If accepted TANSTAAFL Press will take first English publication rights. Note that reprint rights are yours as are first publication in alternate languages, however the value of reprints is low as are the likelihood of getting anyone to reprint. This publication is likely the only location where you will likely be paid for this piece. Stories must be less than 8000 words. Stories considered for Enter the Apocalypse must be stories about the start and / or middle of any type apocalypse. 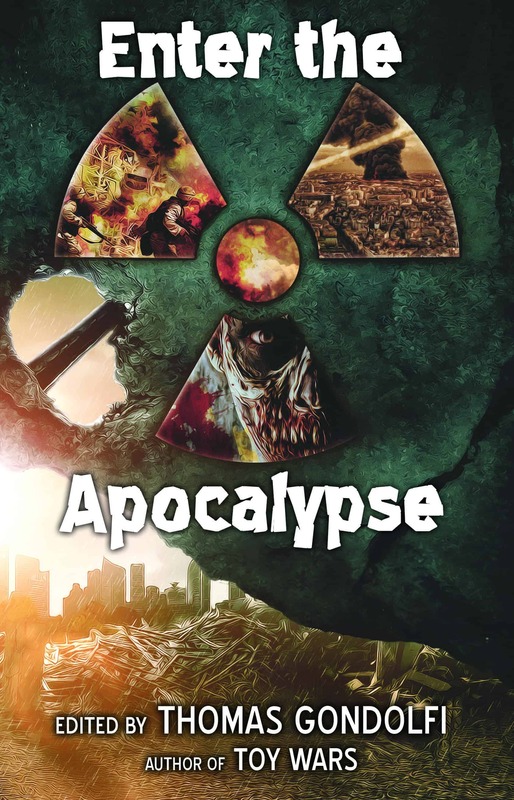 Apocalypse can include (but isn’t limited to) nuclear, epidemic, supernatural, bioweapon, cosmic, aliens, etc. Stories considered for Enter the Aftermath must be stories about the burnout or shortly after any type apocalypse. Stories considered for Enter the Rebirth must be stories about the world coming back to a new stability after any type of apocalypse. TANSTAAFL Press will attempt to get to submissions as quickly as possible, but make no commitment to how quickly. Submissions for Enter the Apocalypse are CLOSED. Submissions for Enter the Aftermath are CLOSED. Submissions for Enter the Rebirth are CLOSED. Any work that starts with or has as a major component a dream sequence will be rejected without a response. TANSTAAFL Press will respond to all submissions which follow our guidelines. The Enter… series will pay for each story used in the range of $0.01-0.08 per word (averaging close to $0.03 per word). People who have stories for each of the works accepted with the same world will receive a boost on each consecutive story. An example: Say TANSTAAFL thinks your work is worth 3c per word on your story in …Apocalypse. Then you submit a story from the same world to …Aftermath. Assuming it is accepted you would get 3.5c per word on that story. This means if there are changes requested that they have been completed. Come see our tentative contract. It hasn’t been fully vetted but it will be close. All works for publication have been accepted and signed. That is, we will pay you when we have the full manuscript in hand. You will not have to wait for TANSTAAFL Press to actually publish.